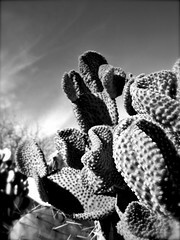 Ansel Adams meets Cactus Jack! A few shots from my mother in-laws backyard near Tubac AZ. Beautiful day out.. helping Jared collect info. for a report on the Az. Desert flora for school.